Love needs pampering! Pampering needs the right context and ambience! Pamper your love over a romantic candlelight dinner amidst picturesque gardens. Away from the hustle and bustle of the city life, a perfect date ambience awaits you near Delhi Gurgaon border. Your drive is through highway roads to reach your date venue - a farmhouse resort. 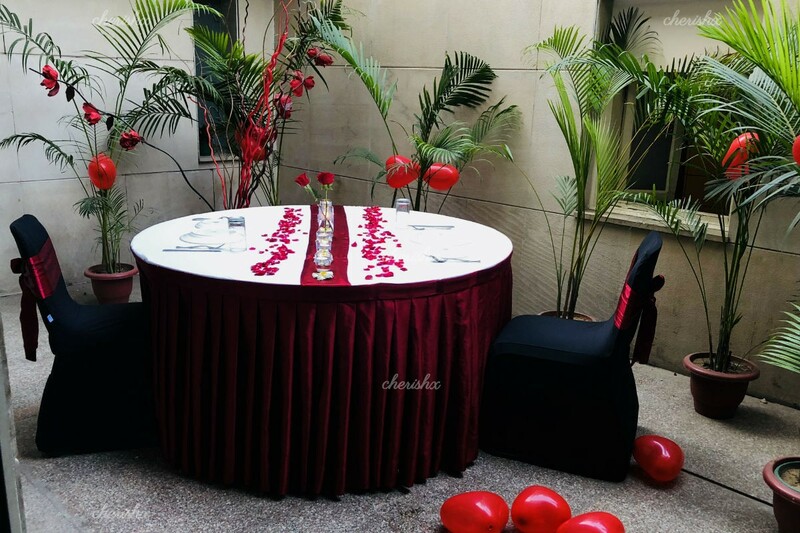 The dinner area is set up with some balloons and divine smelling rose petals. 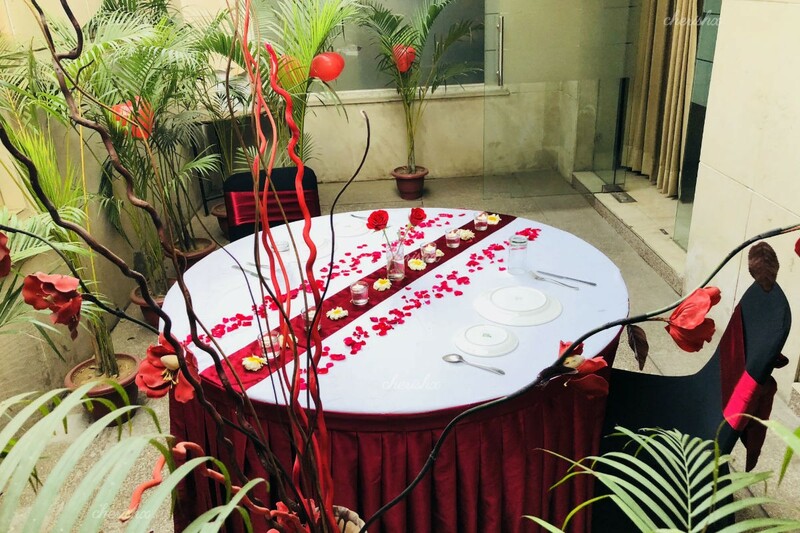 It is topped with mood lighting and beautiful candles.The excitement of your loved one, as he or she walks through the venue with exotic plants to reach a private area reserved and decorated for you would be a delight. This delight gets complimented by the context of a romantic candlelight dinner. You have north indian 3 course dinner served by a private butler, providing a blend of service and privacy. 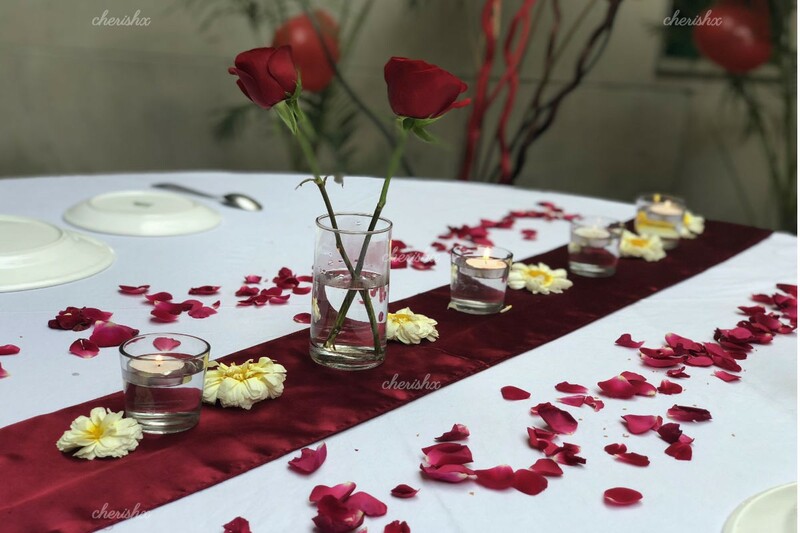 This dinner will be set-up by Cherish’s Experience Designer who would decorate your table and tailor the candlelight setting. A private guitarist can add harmony to the night! Go ahead and pamper your soulmate!! !